If there's a label that takes the cake for putting out some of the most cutting edge material, Parisian based Record Record would be the one. Headed by up and comers Point Point, the label has explored a myriad of sound, pushing electronic styles from future bass to chill hop and more to another dimension with an experimental twist. The label has consistently perked up the scene with their annual Filet Mignon compilation, a sonic extension of the brands' abstract concepts. In their latest curation in Filet Mignon 5, they've compiled a solid 16 track journey, with tracks from some fresh acts on the scene such as Ouai Stéphane, Dame Civile and some familiar names including, Dombresky, Aazar, Acaer and more. The compilation begins with a colorful intro by Canadian producer Rhoda. The intro is subdued and sensational mania, collaging together muffled recordings, what sounds like mundane dinner conversation weaved into light-hearted strings and piano. It begins as the perfect foundation to the inventive nature found throughout the compilation. Other notable mentions include DZZ & Halpe's "Ghost's Lullaby", a creative and somber arrangement. The two producers effectively use cacophonic sounds to create something sincere and poignant. 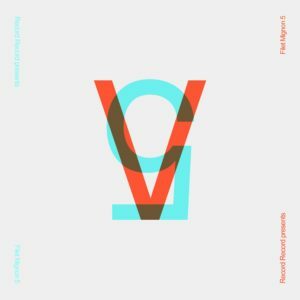 Dombresky throws it in by adding his own killer house track "Aragon", vibey and classic but adding his quirky flair in glitchy and garage inspired inserts. LigOne's "Jeux" has a dangerously nostalgic feel to the track. Complete with sleepy synth work and frenetic percussion, the track is an nutty adventure to experience. If you get the chance, it's worth listening to the Filet Mignon EP in it's entirety, as each track opens a brand new world yet the works seamlessly compliment one another. And with this compilation, Record Record dives deep into exploration of artistic concept through sound. Running through the compilation is similar to walking through a modern art exhibit, a lot of "what the fucks", fascination and introspective thinking. But in the end there's a sense of accomplished exploration.